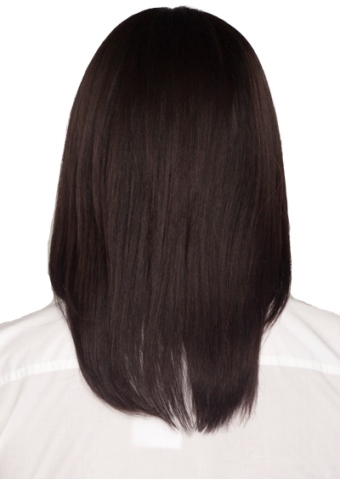 The H-202 style is a sleek, silky straight shoulder length long cut, wispy bang, and a natural looking center skin part. Made with human hair it can be styled any way you wish - the options are endless. Pure Stretch Cap - The Pure Stretch Cap stretches throghout the entire perimeter of the wig, featuring super thin dual-stretch sides and an open cap construction. Front: 4" Crown: 8" Nape: 7"